Can Indoor Skydiving Help You Overcome Your Fear of Heights? At one time or another, each of us has probably felt the stirrings of anxiety. The stomach-churning, chest-tightening, room-shrinking, and heart-pounding reaction when confronted with a fear or situation that is perceived as a threat. Unfortunately, many struggle with these feelings daily and wonder if overcoming anxiety is even a viable option. Thankfully, it is! There are many ways to begin to acclimate and condition yourself to deal with your fears. So many times at Paraclete XP, we hear that someone would like to try skydiving but cannot because they have a fear of heights. While a skydive may be too jarring of a first step, the wind tunnel is a near perfect solution to overcome a fear of heights. 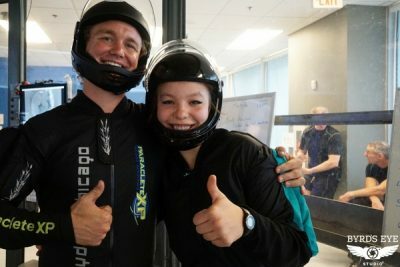 No true “fear of heights cure” exists, but indoor skydiving does a pretty good job easing the anxiety of those who have a fear of heights, fear of falling, or skydiving anxiety. According to the Anxiety and Depression Association of America, data indicates that nearly 40 million people (that is a whopping 18% of the population) experience an anxiety disorder. While the data gathered by the World Health Organization reveal that 1 in 13 people GLOBALLY suffer from anxiety. One of the most common anxiety disorders? Specific phobias i.e. fear of heights or fear of falling. The numbers don’t lie, and we want you to know—there’s no need to feel as if your fear of heights or fear of falling is an isolated occurrence. So, what can you do about overcoming anxiety? Here is what we recommend. Be kind to yourself and start small. Even with little steps, large journeys can be completed. Studies have shown consistent small-scale exposure to the feared situation can be helpful in overcoming anxiety of certain types. By beginning with a situation that is less scary, you can ease yourself into situations that cause you discomfort and later work up to facing situations that cause you to experience a great deal of anxiety. Ultimately, a situation that causes only slight anxiety is more manageable. You get to avoid feeling overwhelmed and feel like you have a chance at successfully overcoming anxiety. When it comes to overcoming anxiety, there is no need to rush into anything. Keep the pace suited to you. Say you have a fear of heights or a fear of falling, a great start would be visiting the wind tunnel. As you watch the smiles and enjoyment the other customers have with indoor skydiving, your tension will begin to ease. After a few visits, try scheduling a bit of tunnel time for yourself. Sign up for a few minutes in the beginning. Incrementally, add more time. Pretty soon, you may find you love the flying feeling and end up with hours of tunnel time! Word to the wise: avoid “jumping right into it” or the “throw yourself in the water and learn to swim method.” The highest success rate is found to be a slow, incremental introduction to your fear. 3. Use a Controlled Environment. Overcoming anxiety is easiest in a controlled environment. Anxiety and surprises are pretty well set in opposition to each other. When things feel out of your hands, it’s almost impossible to feel secure. In the wind tunnel, you are assisted by professional tunnel instructors, the variables are minimized, and you can feel a bit more in control. Plus, by consistently engaging in the activity in a controlled setting, you are able to limit outside factors, which means less opportunity for surprise and less stress for you. 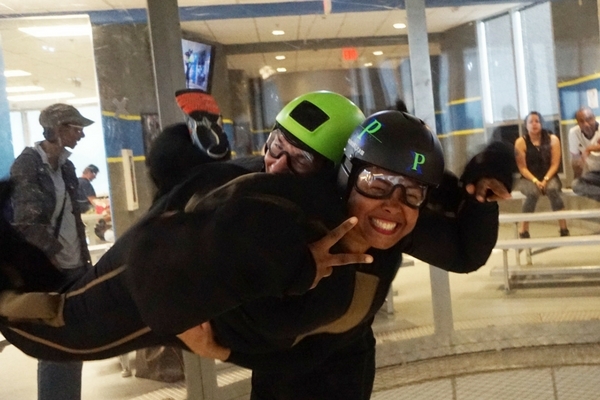 In indoor skydiving, there is you, the skilled instructor, and the wind—that’s it. The longer you face something the more you are able to get used to it and the less anxiety you will experience when you face the fear again. Slowly increase the duration with which you face your fear. Be sure to reward yourself and use positive self-talk for each success you have. In this way, you can build confidence. When it comes to overcoming anxiety, whether it be a fear of heights, fear of falling, or general skydiving anxiety, building confidence is key! 1, 2, 3, 4. We wish you success with this and much more. Following these steps can help lead you to successfully overcoming anxiety. 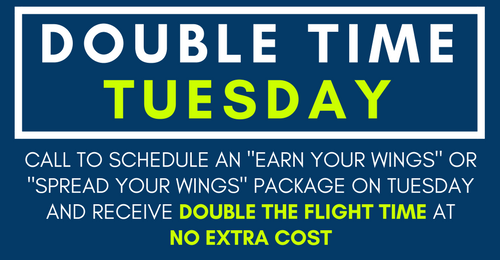 There is no fear of heights cure, but you can certainly get close to conquering a fear or heights or fear of falling by scheduling to experience the feeling of freefall in the comfort of the indoor skydiving tunnel today!